Well, summer has left us now and we will soon be thinking of bringing our cattle into the sheds for the winter. The fields are getting quite wet and we don’t want to spoil the pastures for the next season’s grass. For those who have regularly read our Farm News you will know that we are always looking forward to the next season and how much influence the weather has on our timing decisions. We have plenty of feed for our cows and calves coming in for the winter, but as I write we are awaiting a delivery of barley straw which we use for bedding. Hopefully this will come soon! We buy our straw from ‘up country’ as the soil conditions in this area are not good for growing cereal crops. 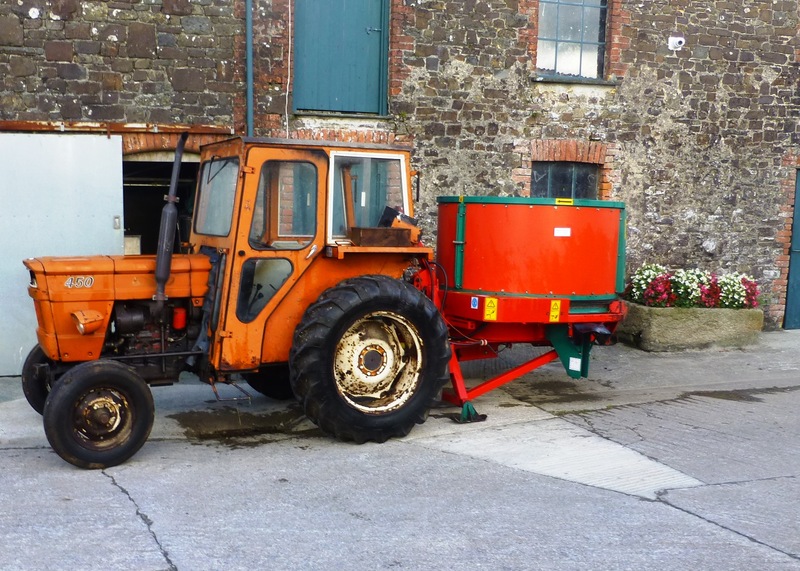 We usually have an articulated lorry load of big bale straw which is dispensed into the cow cubicles with our very ancient straw chopper tractor! Last month our cows were pregnancy tested and we were delighted to know that 85% of them are in calf – due February 2016 onwards. 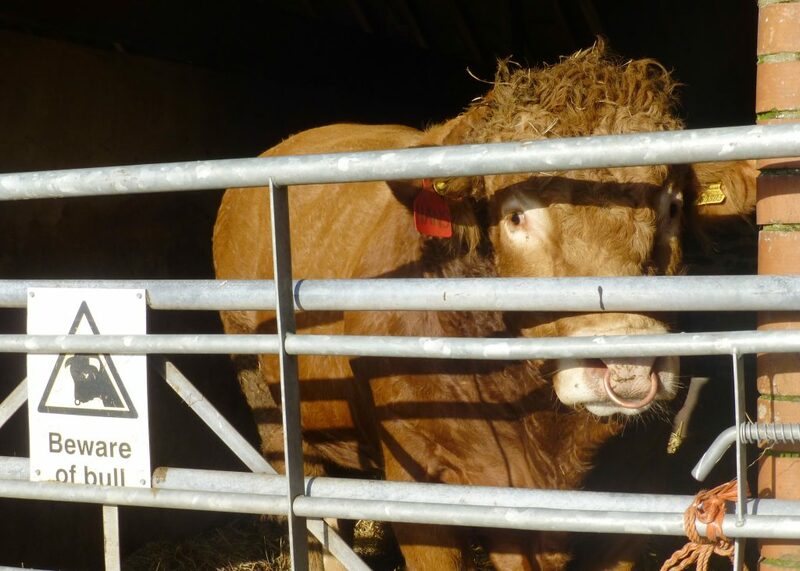 Our pedigree stock bull, Jofrey Hans had done his job, but sadly, as his daughters are due to come into the herd next year; we have had to sell him. When he came to us he was only 16 months old and completely ‘untried’ but he certainly proved his worth with a lovely crop of calves born earlier this year. Let’s hope the calves born next year will be as good. 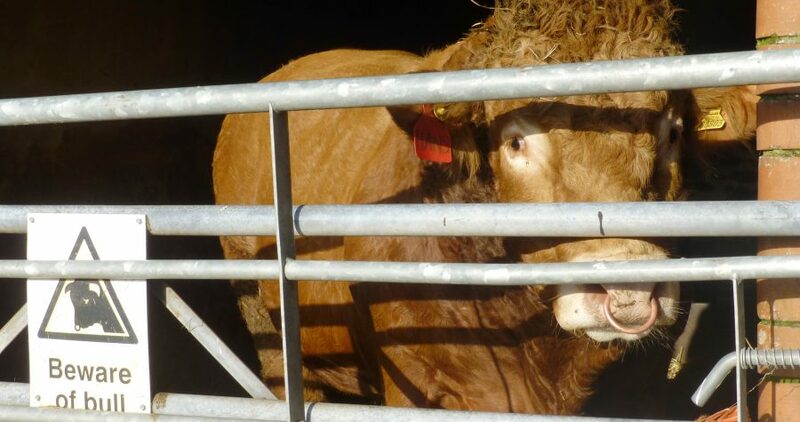 Jofrey Hans has gone back to the breeder we bought him off and will continue to be hired out as a stock bull. It will soon be time for the sheep to be brought to us for the winter. In order to keep the grass in the field ‘mowed’ we have another farmer’s sheep here for several months. 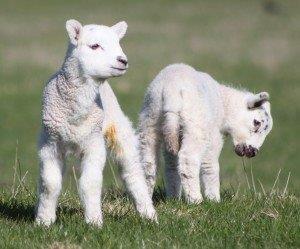 They are usually ‘in-lamb’ ewes that come here prior to giving birth, although sometimes we have early lambs born here which we love to see!